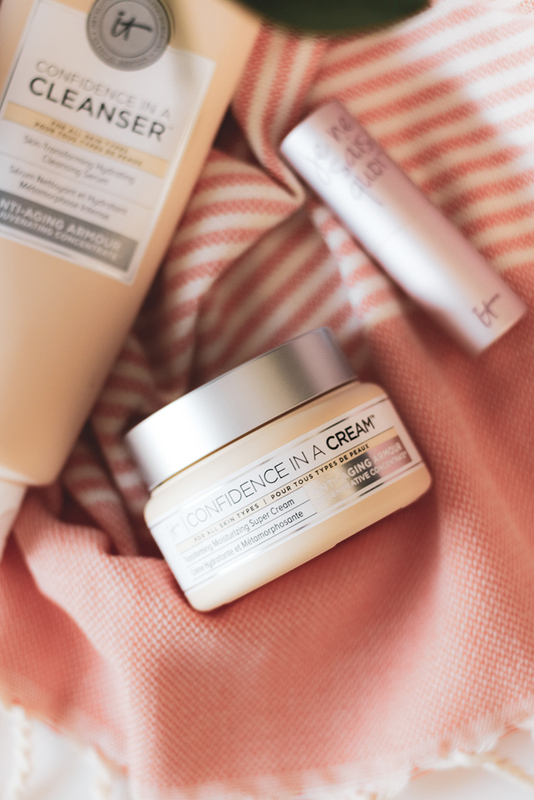 IT Cosmetics has made a hot entry into the Canadian market recently and I’ve really enjoyed trying the range of skincare products IT offers. IT – which stands of Innovative Technology was developed with plastic surgeons with the intention to create game-changing products to help women combat a variety to skincare problems. 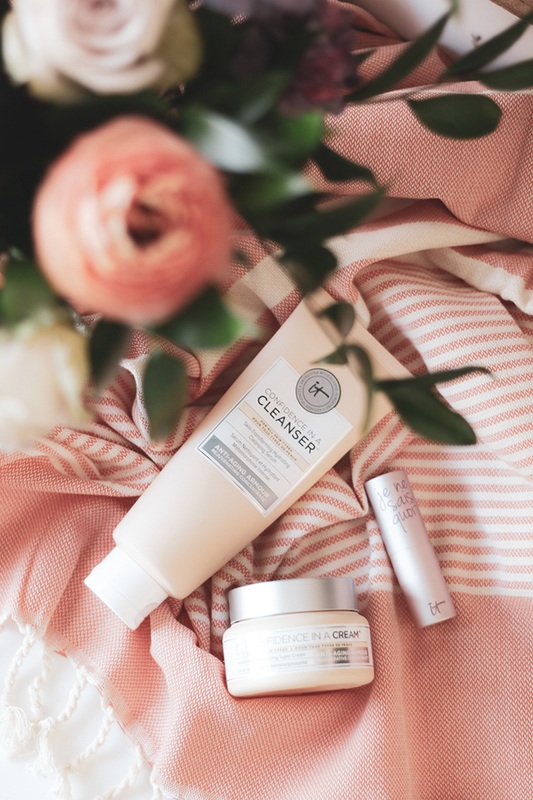 IT Cosmetics has a list of top 10 products that are super popular, though I’ve not had the chance to try them all, I have managed to try the Confidence In a Cleanser (cleanser and serum in one) and Confidence In a Cream. Both of these products have anti-aging benefits and perfect for all skin types. I’ve been a HUGE fan of Fresh Beauty. There is a wide range of selections and each line has its own unique profile. I love the Rose Deep Hydration Facial Toner and actually onto my second bottle as well speak! This cleansing toner is infused with real rose petals and it’s formulated to remove impurities and reduce the appearance of pores and improve overall hydration levels. While the Rose line of products are not specifically targeted for aging, the Black Tea line is. Since I’ve just turned the big 3-5 last month, treating signs of aging has become a new priority. 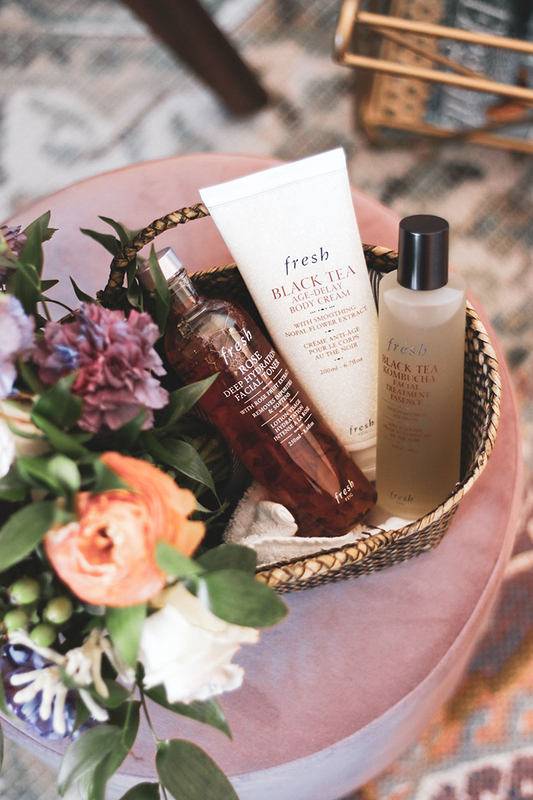 If you’re in the same camp as me, check out the Black Tea Kombucha Facial Treatment Essence and the Black Tea Age-Delay Body Cream for an all over body treatment. I first came across Korres when I visited Greece a few years ago. I didn’t have a chance to bring any back home at the time but so glad shortly after my return, I was introduced to a number of these products. I had previously written about the Wild Rose Vitamin C Active Brightening Oil, it was my first foray into face oils and enjoyed the results. 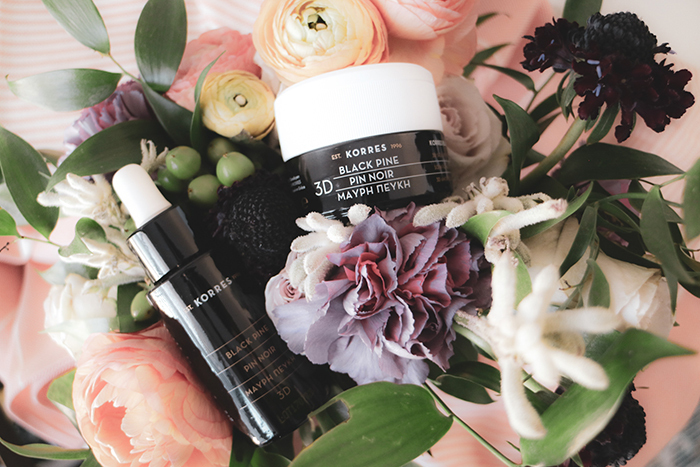 Korres has released the Black Pine collection infused with ElastiLift-3DTM complex and black pine polyphenols which helps bring out natural skin elasticity, in turn reducing the appearance of wrinkles and fine lines. Korres Black Pine products can be found at the beautyBOUTIQUE in Canada. I love to get a good dose of Vitamin D during the Summer months and that means I need to pay extra attention to taking care of my skin. 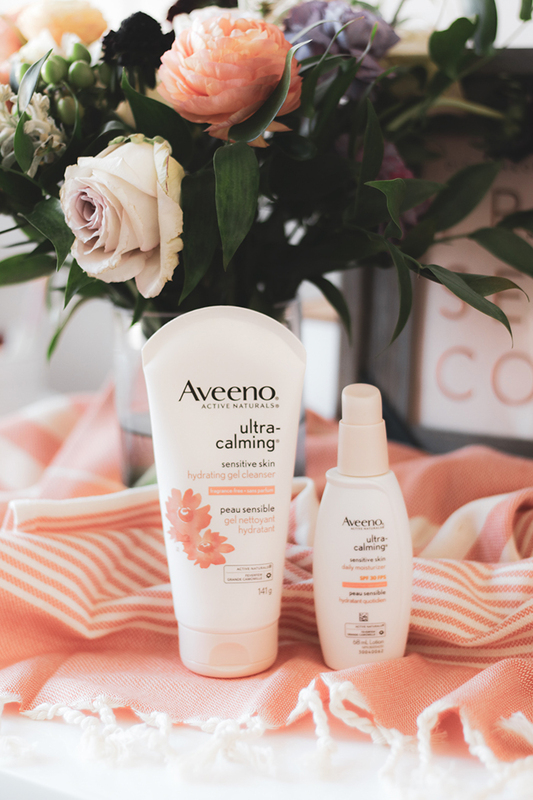 The Aveeno Ultra-Calming line of products has been clinically proven to visibly reduce redness and soothe irrupted or sensitive skin which is perfect for after sun care (or for preventative measures). Similarly to protecting your skin from too much sun, your hair can take quite a bit of heat (literally!) as well! 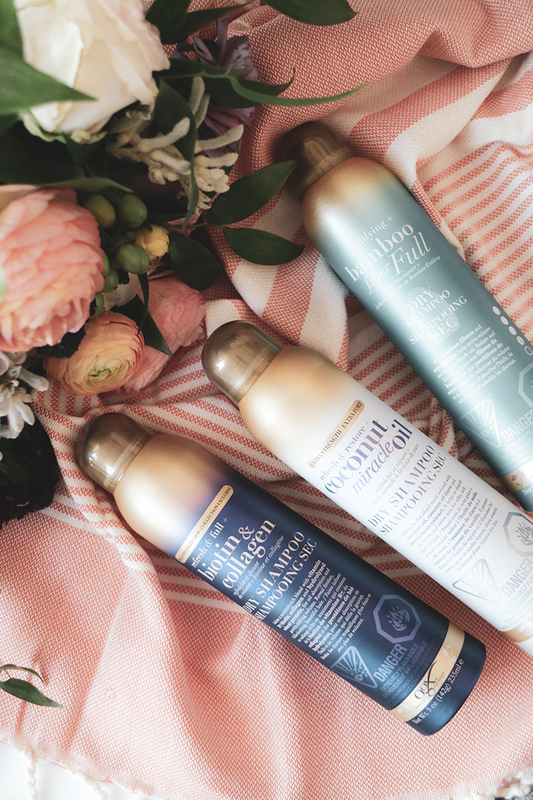 Marc Anthony’s hair care products smell super delicious and has many leave-in conditioners that are just what you need when it comes to hair repair. I love the Hydrating Coconut Oil selections, and guess what most of their products are under $10! And last but not least, my obsession (and dependence) on dry shampoo continues! I have been sampling these OGX dry shampoos and I absolutely approve! 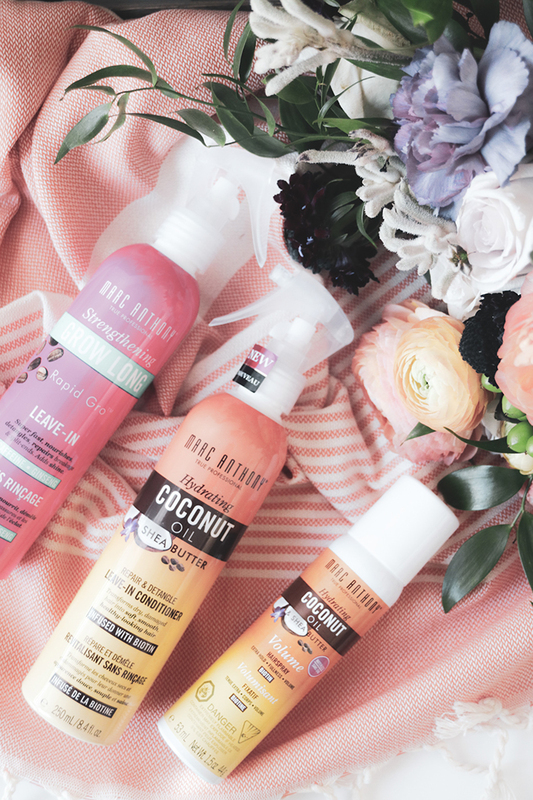 The Coconut Miracle Oil Dry Shampoo has a scent that takes me back to the beach side of Hawaii and has the power of absorbing oil while prolonging style. Meanwhile, the Bodifying + Bamboo Fiber Full Dry Shampoo gives added volume and even on my third day, my hair is still full and luscious. I’ve been using these dry shampoos for over a month now and can attest that they DO NOT leave any yucky and gritty residue. Just ensure you spray and massage into the roots of your hair for optimal results. Hope I’ve recommended a couple you might want to try this Summer!